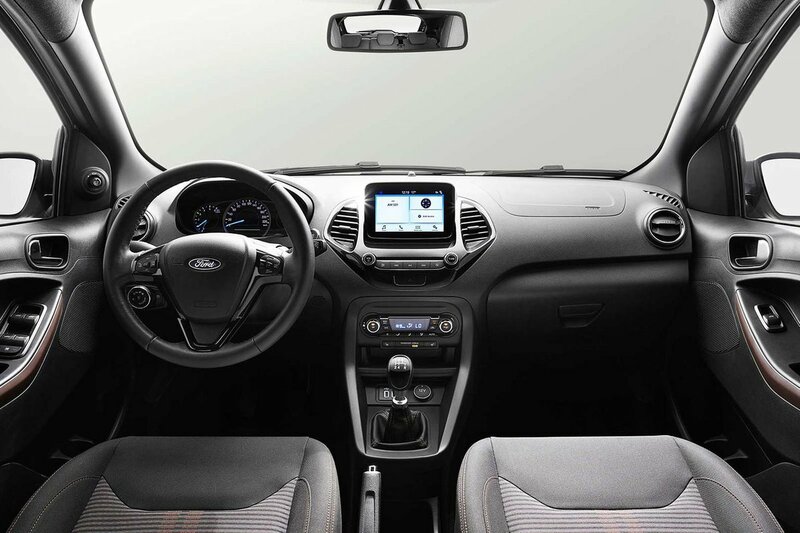 Ford Ka+ Interior, Sat Nav, Dashboard | What Car? There's a decent amount of adjustment in the driver's seat, but the steering wheel moves only up and down, not in and out. Still, you get a good view of the road from behind the wheel and a slightly higher vantage point if you opt for Active spec, thanks to that elevated ride height. 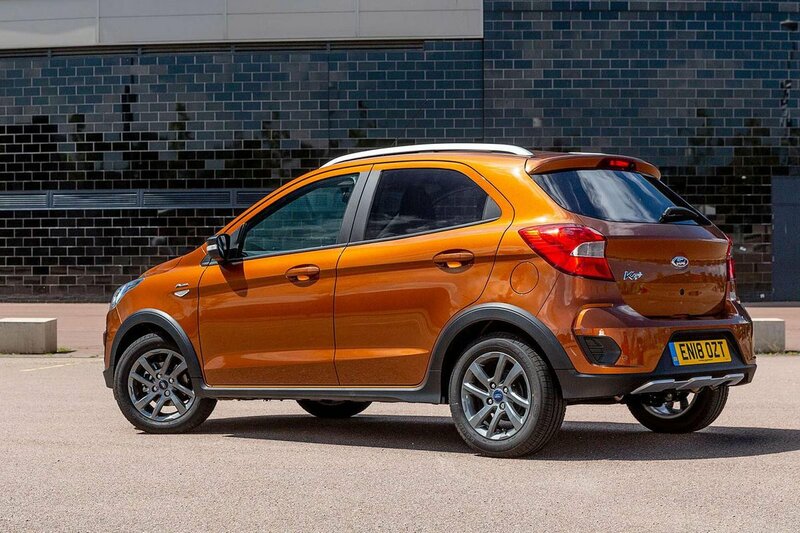 Rear parking sensors are available on all but entry-level Studio trim as part of an optional City Pack. The Ka+ doesn't hide its budget routes particularly well; the dashboard is a sea of unyielding and scratchy grey plastic. 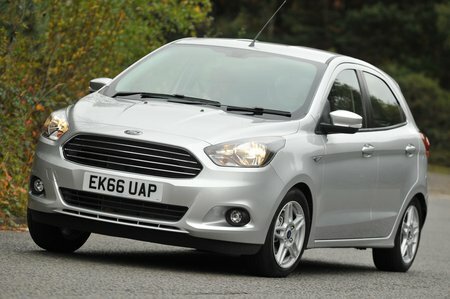 Zetec and Active trims do at least feature a 6.5in touchscreen infotainment system that lifts the impression a little. The graphics are crisp and clear, the screen is responsive when you prod it and the menu layout is logical, making it simple to navigate through the functions. You even get Apple CarPlay and Android Auto smartphone mirroring. It's an impressive system given the Ka+'s price point, although it's not quite as slick or easy to use as the Seat Ibiza's touchscreen infotainment system. Go for entry-level Studio trim and you'll get a smartphone dock, a DAB radio, Bluetooth and USB and Aux sockets. Sat-nav isn’t available on any trim.